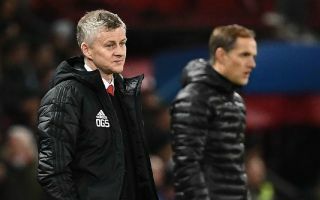 Manchester United have reportedly been dealt another blow ahead of their Champions League clash with Paris Saint-Germain next week. According to the Daily Mirror, as well as the Red Devils’ own injury woes, they can now expect to come up against a returning Edinson Cavani for PSG. The Uruguay international is one of the deadliest centre-forwards in Europe and could do a lot of damage to United in a game they’ll have to chase due to losing the first leg 2-0 at Old Trafford. Ole Gunnar Solskjaer’s side already face injury problems of their own as Ander Herrera, Juan Mata and Jesse Lingard all had to be subbed off before half time in Sunday’s 0-0 draw with Liverpool. Cavani coming back after missing the first leg is the last thing United needed, with the likes of Kylian Mbappe and Angel Di Maria enough of a handful for their defence in the first game.